Still a neighbor and friend of Belmont University, alumnus Dr. Philip Phillips looks back on his time at Belmont as one of the best experiences in his educational career. His professors at Belmont had a lasting impact on him and what he studied, making a difference in his future educational endeavors. Now the associate dean of the University Honors College and professor of English at Middle Tennessee State University, Phillips has the opportunity to be just as influential to students as his Belmont professors were to him. After graduating from Belmont in December 1990 with a major in English and a double minor in philosophy and Latin, Phillips went on to attend graduate school for both his masters and doctorate degrees in English at Vanderbilt University. Admitted to Vanderbilt’s Master’s program early, Phillips made a shift in focus from romantic and Victorian literature to Renaissance poetry. He worked closely with faculty exploring authors like John Milton, who he eventually wrote his dissertation on. Phillips has taken an interest in honors societies throughout his education and career. At Belmont he was involved in Sigma Tau Delta, English honor society, and now at MTSU, it is no different. 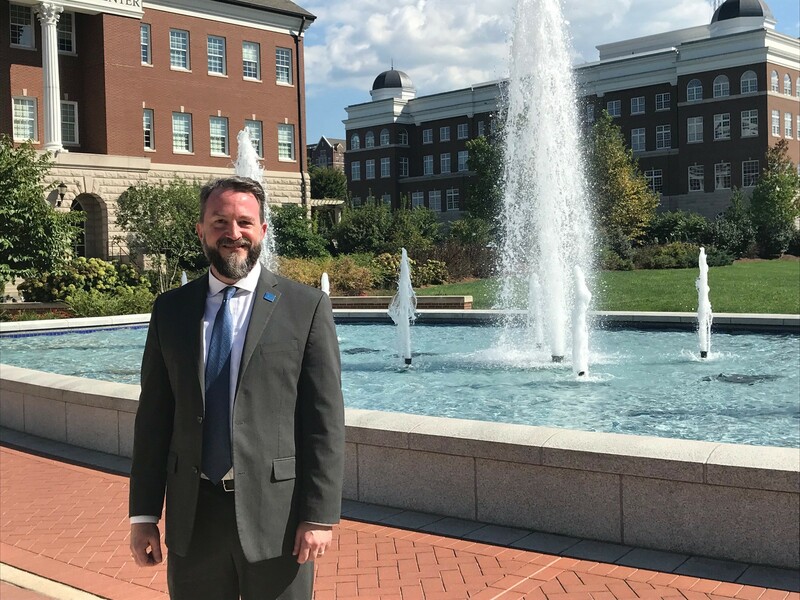 A member of The Honor Society of Phi Kappa Phi that recognizes all academic disciplines and includes professors, staff, students and alumni, Phillips is actively involved serving as the president of the MTSU chapter. At the organization’s recent biennial convention, Phillips was elected to serve on the national Board of Directors of The Honor Society of Phi Kappa Phi until 2020. Outside of teaching and mentoring students, Phillips is an active researcher and two-time recipient of the MTSU Foundation Distinguished Research Award. Looking specifically at Boethius, Milton and more recently Edgar Allan Poe, Phillips has written, edited and co-edited several books, as well as articles and book chapters, on various aspects of these writers and their work. Research is a major part of what Phillips does, as not only a professor, but also as someone interested in these topics. Currently, Phillips is editing a book about Poe titled “Poe and Place” that is set to be released in November 2018.